The trips so far this season have been great… and each different from the others! This week we have seen a number of different individuals in the area, including an old favorite Mars, Ase, and Thumper, as well as a few mom and calf pairs- Palette, Spoon, and Prongs have all returned to Stellwagen with babies this season. 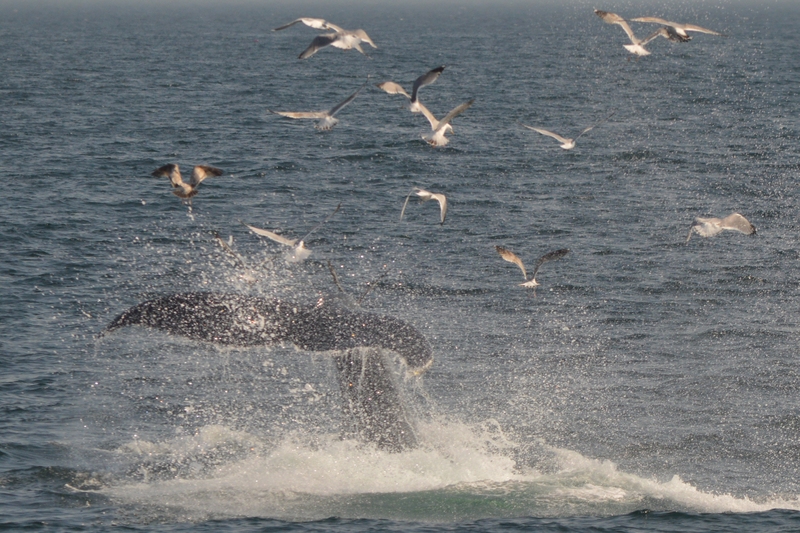 We have seen a bit of feeding behavior from the adult whales each day this week. 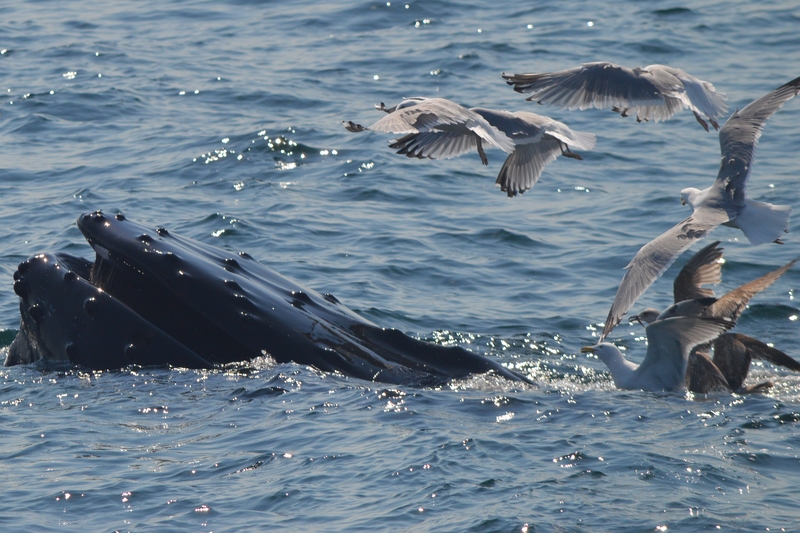 One of my favorite experiences of being out here is “getting to know” these whales and their feeding styles. I am thinking of Palette in particular, who we’ve seen slapping her chin at the surface, kicking her tail, blowing a ring of bubbles, and then coming to the surface to feed. We are also lucky to be able to watch the calf as he/she plays while Mom eats. 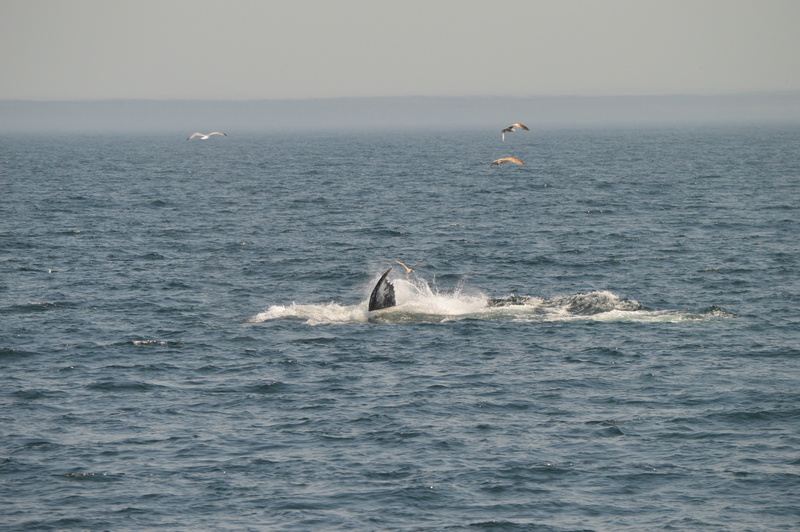 In addition to humpback moms and calves, we were also lucky enough to watch a fin whale mom/calf pair! 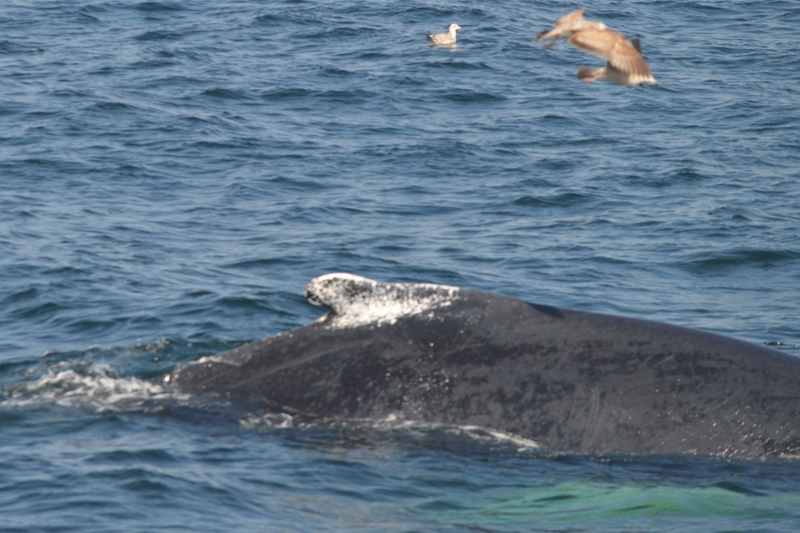 We know very little about fin whale breeding grounds (if they have designated areas) or if the exact time of year calves are most likely to be born, and seeing this pair was a great treat. With fin whales reaching lengths of about 75 feet as an adult, seeing this ‘small’ baby swimming next to mom was awesome to watch. We have also had the occasional sighting of seals, and also had our first basking shark sighting of the season. This particular shark stayed at the surface for a bit but seemed to dive down below the surface, so we began to move away. 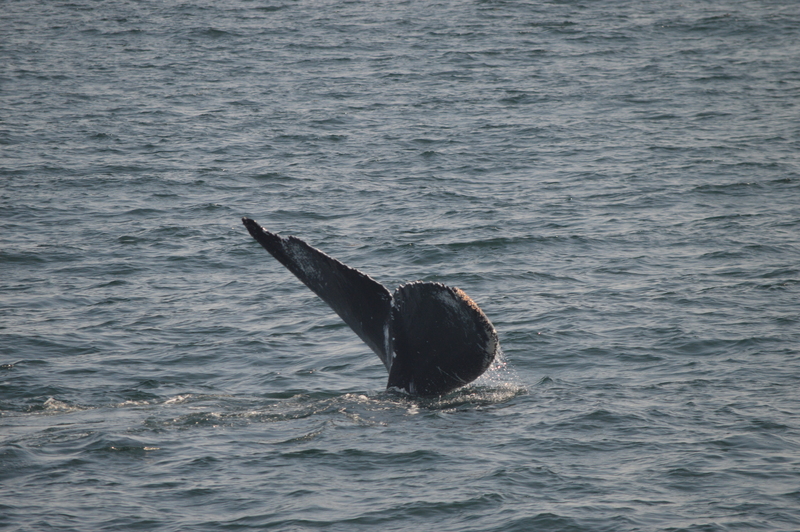 As we did, it suddenly resurfaced and then turned right toward the boat, giving us an amazing look right into the mouth! We are excited at the great sightings we have had lately and are hoping they continue as the season picks up into full gear. Palette reaches the surface while the gulls hang back.